Being one of the leading manufacturers and wholesalers of a broad range of Load Banks, we are committed to ensure our clients their desired range. In addition to that, we have been associated in the business for long time and for that matter we comprehend the needs of our clients and thus offer them our products accordingly. 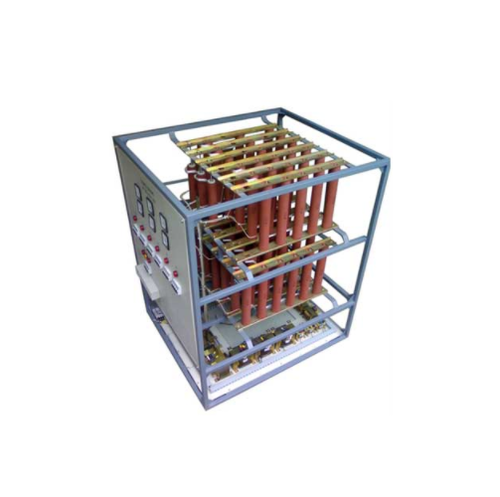 Furthermore, offered range also incorporates Neutral Grounding Resistors, Buffer Resistor and Earthing Resistors along with many such. Our esteemed clients are mesmerized by our offerings in the domain of manufacturing and wholesaling a qualitative array of Load Banks. This range is demanded for its smooth functioning, user friendliness and cost effectiveness. Moreover, these are manufactured under the supervision of our expert team in order to ensure a genuine range to the clients.